Chelsea and Liverpool football club have issued a statement after a fan's communal remarks on Mohamed Salah through a video which was going viral on the internet. 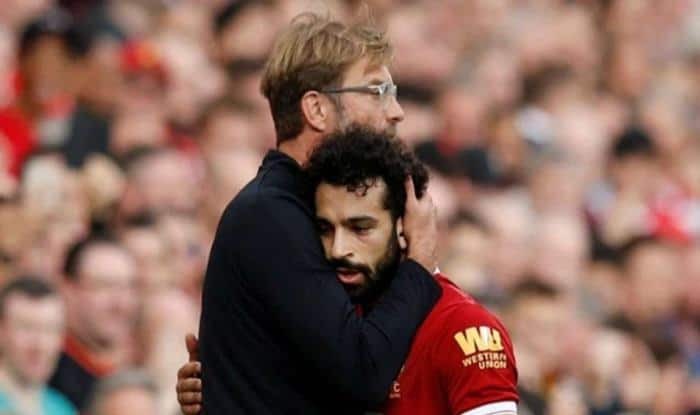 In what was an abominable behaviour by a Chelsea football club fan, he labeled Liverpool striker Mohamed Salah as a bomber after the club’s Europa League fixture in Prague. The Egyptian international is also a former Chelsea footballer. Following the act, both the clubs — Liverpool and Chelsea — have issued a statement on the matter. “Chelsea FC finds all forms of discriminatory behaviour abhorrent and where there is clear evidence of Chelsea season ticket holders or members involved in such behaviour, we will take the strongest possible action against them,” Chelsea FC said in an official statement. Salah was playing in a quarter-final against Slavia Prague when the chants of “bomber” were heard in the stadium. “The video circulating online, showing vile discriminatory chants being aimed at one of our players, is dangerous and disturbing, this behaviour needs to be called out for what it is – unadulterated bigotry,” the statement read. “As pertains to this latest incident, the club is working with Merseyside Police to ascertain the facts around this footage with the aim of identifying individuals featuring in it. In addition, we are working directly with Chelsea Football Club on the matter. We thank them for their condemnation and a commitment to act urgently to identify any individuals responsible,” the statement added.